Words. I must have become a printer because I love seeing words in front of me. 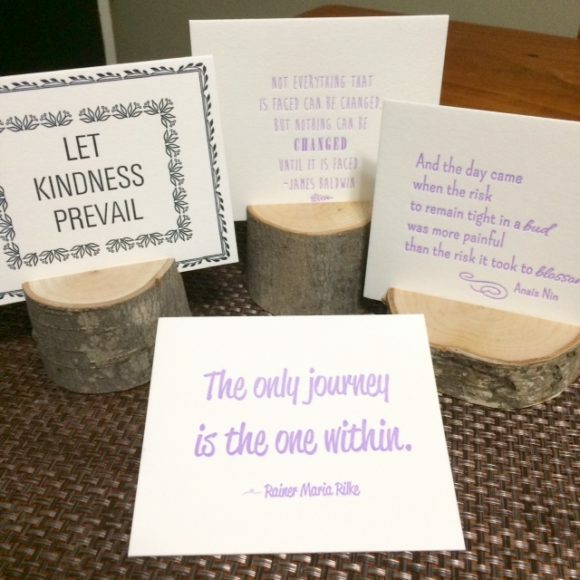 Cards, prints, even these small letterpress printed cards that now stand in wooden holders.